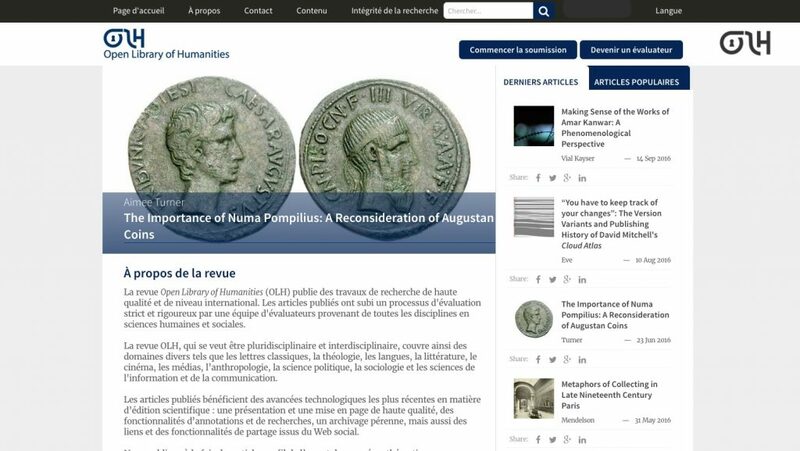 We are delighted to announce the launch of the first of our planned multi-lingual sites of the Open Library of Humanities multidisciplinary journal. Visitors to the journal's homepage, https://olh.openlibhums.org/, will now be able to select English or French, including all of the journal's information as well as the submission system. This is a huge moment for the OLH – we've been advocating for multilingual publishing since we started as an academic-led grassroots community project in 2013, to support scholarly publishing around the world and to start to redress the hegemony of Anglophone scholarship in global academia. We are already well underway towards preparing a German-language site, and have plans to launch the site in other languages in due course. We would like to thank two French editors, Professor Chérifa Boukacem-Zeghmouri (Université Claude Bernard, Lyon 1 / Laboratoire ELICO), Hans Dillaerts (Université Paul-Valéry, Montpellier 3,) and Professor Thierry Lafouge (Université Claude Bernard, Lyon 1) for their hard work in organising the translation of the site. Applications for French-speaking academics interested in joining the OLH French Editorial Team will be open shortly. In the meantime, anyone interested in finding out more can contact Dr Caroline Edwards, Editorial Director of the Open Library of Humanities: caroline.edwards@openlibhums.org.